Using third party fulfillment (3PL) partners for fulfillment can provide tremendous benefits for your multichannel and e-commerce business. One way some companies use 3PL is as an additional warehouse in their distribution network. A strategically located warehouse can reduces ship time to customer as well as shipping costs. During the last recession, new warehouses were not built on a speculative basis. Once the market began to rebound, construction of new buildings could not keep up with the consumption of available space. As a consequence, the nationwide warehouse occupancy rate in most markets is at an all-time high in the mid-90%s. Defining your company’s warehouse and distribution requirements involves some forward planning. 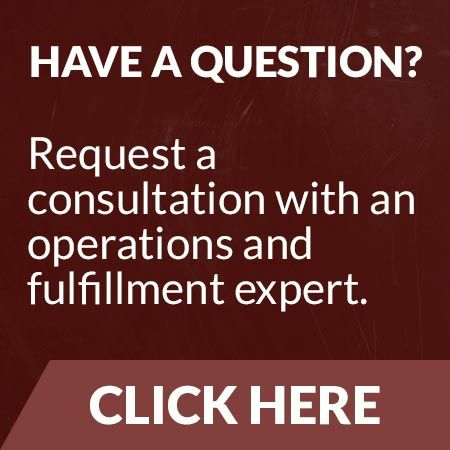 Not only do you have to accurately plan your current space needs but find a potential facility that meets a high percent of your requirements needed for growth. If suitable buildings are not available, then a longer-term strategy of build-to-suit (BTS) is necessary. Regardless of which option (lease, purchase, or BTS), identifying the detailed space requirements is the crucial first step before touring buildings. The clear stack height is the useable height for storing products, supplies or inventory within racking and shelving. This is measured from the bottom of the facility’s bar joist, lights, sprinkler heads or duct work – to the concrete pad. It is critical to know your max pallet height, the total pallets high you are planning to store, and what the minimum clear height is. One of the biggest challenges companies face in acquiring new warehouse management systems is how much to budget. In our experience, 50% of major systems projects are not completed within proposed budget or time frame. Companies must understand the potential costs early on to prevent finding out they can’t afford the system after spending significant time in the system selection phase. The software license fee is typically driven by either the total number of concurrent users or named users. Some WMS vendors use other metrics such as annual orders. Companies need to ensure that they are providing the most accurate information when discussing pricing with the vendor. Another important consideration is what options vendors have for handling seasonal licensing. For instance, what if you only need a license for a two-month period? Keep in mind how your growth will impact the license needs over the next two to three years. Many warehouse management system vendors give you different options for acquiring the software - you can either purchase it as a perpetual licensed model or a SaaS model. Typically, the implementation and conversion costs will be the same regardless of the pricing model you choose. Companies may not know whether a vendor’s optional modules are required during the early planning stages. Some of these optional modules may be functions you will want to grow into after you installed and utilized the base system. These could include transportation management, labor management, and complex slotting programs. These can be added in the future, even if you do not purchase them initially. The other day, I talked with a friend that works in multichannel marketing for over 25 years. The conversation turned to how Internet technology keeps accelerating business change. New products and service competitors can be launched almost overnight. Businesses slow to adapt to change get destroyed. Payless Shoes, who recently announced a liquidation of all 2,100 company owned and online stores in the US and Puerto Rico, is just one recent example. Brick and mortar locations are not the only stores who need to stay on top of innovation. There are just as many potential threats to ecommerce businesses – continual increases in shipping costs; how to decrease delivery times; and low unemployment and increasing labor costs - to name a few. We recently assisted a start-up e-commerce company (the buyer) in selecting a third party logistics company (3PL). The prospective buyer swore up and down they had commitments from Amazon, Walmart and other big box stores. Because of these commitments, the services required EDI and meeting the compliance standards of all of the retailers. The additional constraints were a major implementation and operating cost. The external vendor took the deal only to see some of those retailers’ purchases not materialize. The business plan ended up flawed, putting the contract and relationship at risk. A multichannel business-to-business client with annual sales of $150 million approached us to perform an operational assessment of how to make their two east coast facilities more efficient. The company fulfills e-commerce as well as wholesale orders through industrial supply and home centers with a high average order of over $400 with 9 cartons shipped per order. The strategic plan is to add a west coast facility and to select a new ERP system to replace their 20 year old legacy system. The company has effective cost controls and expense reporting. The controller’s office produces an elaborate historical management report which summarizes at a high level the company’s transactions, average order, fulfillment expenses, etc. While the company has years of data, analysis did not show them any actionable areas to investigate and improve. To improve insights gained from reporting, one of the longer-term objectives is to detail report work by department and employee upon installation of the new ERP. Warehouse management systems (WMS), by themselves, do not bring the high benefits of improved labor productivity and tracking of inventory throughout the fulfillment center. Many small to mid-size e-commerce companies do not have the four foundational prerequisites in place that would allow the high benefits to be achieved. Simply dropping a WMS on top of a paper-based fulfillment environment does not work, and it would be a waste of money. The Internet created a level playing field for product sellers. It has spawned millions of e-commerce companies which became merchandise category killers. By a category killer, we mean their assortment is narrow and deep, and it takes sales away from established retailers and other sellers because it offers the customer more choices. Ecommerce has turned retail upside down, so you need to adopt every best practice to reduce costs and provide higher levels of service. There’s only one conference focused exclusively on optimizing direct-to-customer and omnichannel operations and fulfillment: Ecommerce Operations Summit, held April 9-11, 2019 in Columbus, OH. Parkinson's Law is the adage that "work expands so as to fill the time available for its completion." It is sometimes applied to the growth of bureaucracy in organizations; however, in our opinion, it can also be the root of lower productivity in business functions.